ESKO, spol. s.r.o. is engaged in the production of contact lines designed for railways, trams and trolleybuses. The top quality of our products is guaranteed. Choose from more than 300 parts. Contact lines for trams, trolleybuses and railways are produced by leading global manufacturer ESKO, spol. s.r.o. The company has been active on the market since 1994. Since the very beginning, it has specialized in components for railways, urban public transport companies and competent installation companies. 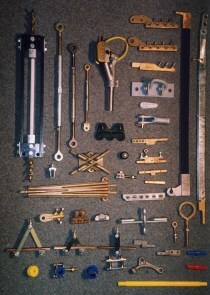 Visit our web catalogue for all the necessary parts.